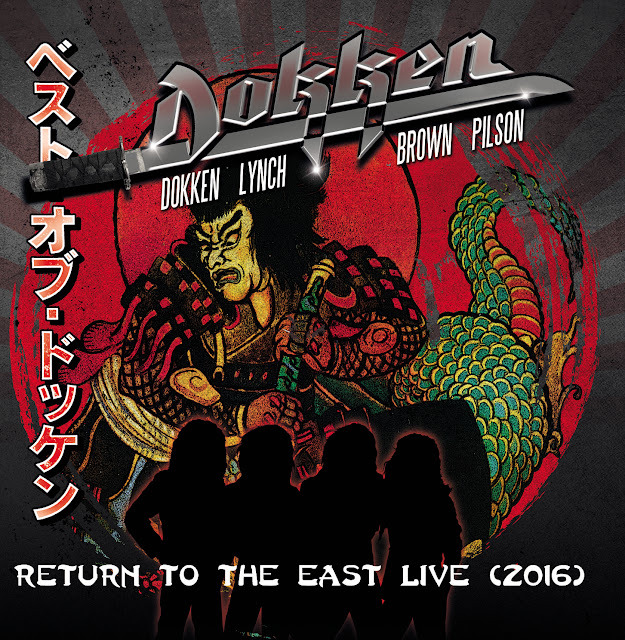 When the classic lineup of ’80s Hard Rock legends Dokken – singer Don Dokken, guitarist George Lynch, bassist Jeff Pilson and drummer Mick Brown – reconvened in 2016 after an 18-year break (and plenty of splits and reunions before that) to perform a string of dates in Japan, it marked the return of a musical partnership that created magic in the genre’s heyday despite an ongoing internal soap opera of personality clashes and missed opportunities. For at least a few short days, the four musicians who comprised the band’s most successful era were back. Now, Italian label (and longtime ’80s music champions) Frontiers Music are gearing up for the April 20 release of Return To The East Live (2016), an album/DVD/Blu-ray combo culled from the band’s performance at the Loud Park Festival in Japan and (on parts of the DVD) a warm-up gig in South Dakota. In addition to featuring bonus acoustic studio recordings of “Heaven Sent” and “Will The Sun Rise,” the collection is bolstered by the inclusion of “It’s Another Day,” the first brand-new studio song from this lineup in two decades. 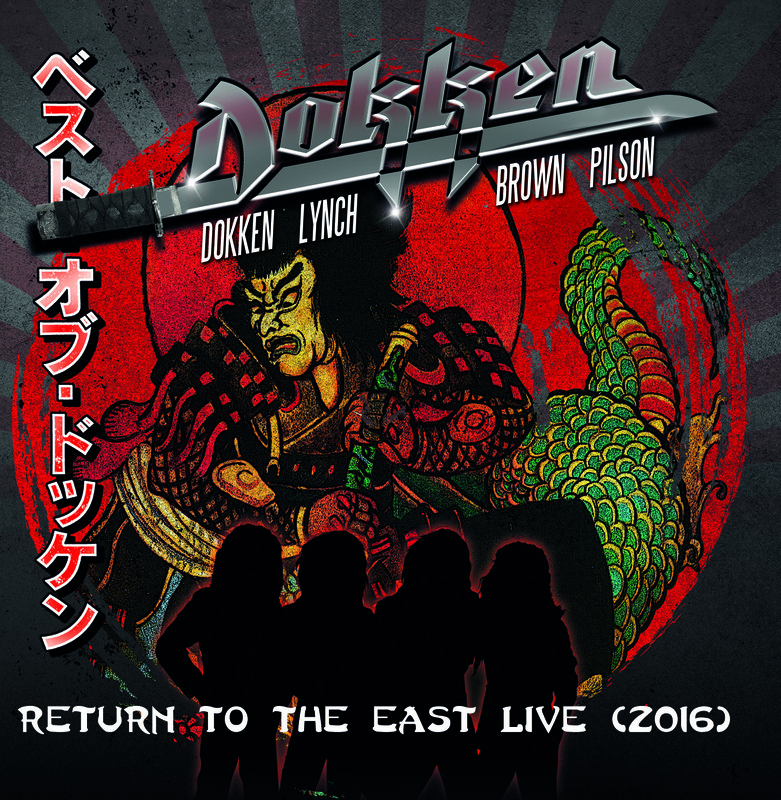 Although a killer version of Dokken currently exists with Don and Mick still behind the wheel, Return To The East Live (2016) proves that there will always be something truly special about this earlier incarnation. 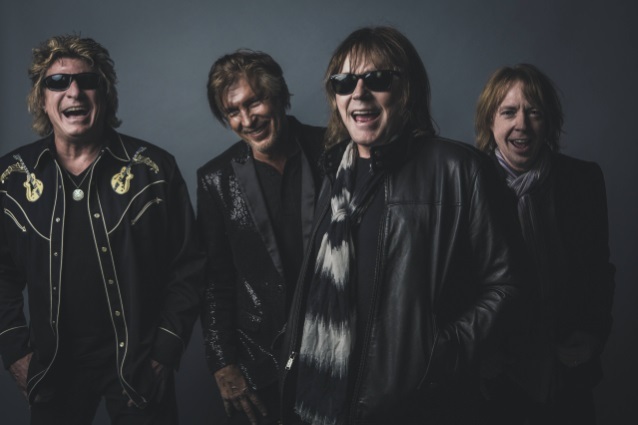 Now in Foreigner after a celebrated stint in Dio, Pilson was in high spirits when I recently connected with him to discuss the new Dokken release, the possibility of future plans for this version of the band and what makes them still relevant after decades of intense ups and downs. I love the new studio track. What were the logistics involved in getting that song together? When we originally did our Beast From The East [live] album in 1988, we were going to record a new song live at the show along with the rest of the stuff and debut it on the live record. We did actually write a song, and we recorded it, but we weren’t happy with it when it got done. (laughs) We thought, ‘Okay, let’s try that again.’ To make a long story short, we also realized, ‘You know what? It’s just not practical to try recording a song initially live.’ Good theory, but it doesn’t work out in practicality. But before we did the tour, George and I got together and wrote the music for it with it being a new Dokken song in mind. We wrote the music and we were very happy about it, but then we didn’t actually get a chance to work on it until we got back from Japan – at which point, we sent it to Don and Mick. Don suggested we speed it up, which we did and we liked that. Then, he came in and just nailed his vocals in what was one of the most painless Dokken recording sessions ever. (laughs) It just happened very naturally, very organically and quickly. We’re all really happy with the results, and it just turned out great. For the live record and the sets you did in Japan, what was the level of difficulty – if any – in selecting the songs you ultimately performed during that run? It wasn’t very difficult, because we decided early on, ‘Let’s just do music from the ’80s heyday; let’s kind of keep this to the ’80s version of the band.’ That’s why I brought back bass pedals and keyboards and that kind of thing. We knew there would be none of the ’90s material that we did together or material from any of the other versions of Dokken. We kind of had a good idea already of what we were going to do. We did add in a couple of different songs that we thought would be interesting. On the first show, we did acoustic versions of ‘Will The Sun Rise’ and ‘Heaven Sent,’ which we also ended up doing in the studio as acoustic remakes. At the first show we did, we did them live acoustically, and we weren’t really happy with how that came out. That’s why we ended up just recording it in the studio, where we were very happy with it. But then when we got to Japan, we didn’t want to do an acoustic set there, but we ended up working up ‘Will The Sun Rise’ as a live track. We were really excited about that. Unfortunately, none of the recordings of it came out pretty good (laughs), but we were really excited about working up that track. To answer your question, most of it was pretty obvious and automatic [with] what we were going to play. It was exciting that we did ‘Dream Warriors,’ because that was one we didn’t always do live because it can be a difficult song. But we decided we’d go for and do the big ’80s songs and have fun with it. This new record was done in Japan, and it’s coming out on Frontiers – an Italian label. I talk to a lot of acts from the ’80s that are now working with Frontiers, and there’s obviously a scene for this genre overseas. From your perspective, why does it appear that this era still resonates so strongly with folks outside of America? For one thing, I think people outside of America tend to be a little less trendy. This is not a slight; this is just kind of an observation. Americans tend to be a little flightier and trendier. People in Europe and Japan in particular – and South America as well – tend to be very loyal. If they like something, they like it regardless of what’s hip, trendy or otherwise, and then they stay with it. A lot of this ’80s Rock didn’t penetrate into Europe as much the first time it came out; it took a while for that music to catch on over there. We had a certain amount of success in Europe, but not to the degree that it became. I think they’ve just latched onto the music, they love it and they appreciate it. They listen very closely. If they like something, they like something for life as long as you do a great job. That’s a great thing. You mentioned “Dream Warriors” earlier. I’m not alone in being introduced to Dokken through that song. When you look back now, how do you think that partnership with the Nightmare On Elm Street thing ultimately impacted the band’s career? In a big way, because you’re not the first person to tell me that. There are a lot of people who did get familiar with us through that. Our managers at the time were really great. Cliff Burnstein, one of our managers, was really close friends with Wes Craven, the guy who did the Nightmare series. Those are the two who kind of concocted this idea. Not only was it a great thing to be involved in the movie, but the video that came out afterwards was the first time that a commercially released movie included a music video from the band that did the title song. That got us a lot of exposure. I would say that ‘Dream Warriors’ was a critical song for us as far as introducing us to a lot of people, and it is a very consummate Dokken-sounding song. It sort of established our sound with a lot of people, which was a great thing. Not terribly long after that, the band broke up. When that took place, did you feel satisfied that the band had indeed gone as far as it could? Absolutely not! (laughs) We did break up, but it happened as the result of Don leaving. I can remember having many a talk with Don. I would pull out statistics, like, ‘Only 41 albums went Platinum in 1988, and we’re one of them!’ I was really trying to sell the idea of keeping the band together for at least a couple more cycles. Our management was trying to do the same; they were dangling large monetary carrots in front of us. Money was one of the reasons that I thought we should stay together, but I also felt like, ‘No! We haven’t taken this as far as we could.’ In retrospect, having broken up then probably eliminated us from being part of the carnage that Hair Metal received in the early ’90s. (laughs) We were already gone by then. We did have a career after that; we were able to come back a couple times. That may or may not have happened had we continued then. Who knows? But I did not want the band to break up; I did think we had more to do. I thought had we done one more record, we could have really put ourselves in a much, much bigger position – which, again, would have suffered terribly in the ’90s, but maybe we would have had a better springboard to jump off of from there. My next question is the one you’re likely hearing a lot. Obviously, this new release features the classic lineup. Do you see a future for the four of you working under the Dokken banner? You know what? You just never know. We talk about it all the time; we get along well enough now that we communicate pretty well. There are always offers coming in, and there’s always talk of it. A lot of it comes down to scheduling; it’s very, very difficult to schedule. One of the reasons the Japanese tour worked out so well is that they really, really worked around our schedules to make it happen. They wanted it to happen as badly as anybody. Foreigner happened to have a three-week break in that period in October [’16]. That worked out really, really well. There’s not a lot of that that happens. I don’t know how often our schedules would be able to coordinate so easily, but I would never say never, because the demand is still there and shows no sign of letting up. I’ll say that we’ll probably always entertain it and look into ways of making it happen, but who know when it is or if it’ll ever happen. We’ll just have to wait and see. Well, right now we have this Foreigner with the 21st Century Symphony Orchestra & Chorus record coming out this month as well as the Dokken record coming out this month. Foreigner is going to be heading to Europe in May; we’re also going to do two more nights with the symphony in Lucerne. We’re going to do two more orchestral show there, plus a European tour in the UK. Then in June, we start a tour with Whitesnake and Jason Bonham’s Led Zeppelin Evening that’s going to go into August. That’s going to be a very exciting shed tour, and we’re really excited about that. A great night of music! I’ve been wanting to tour with Whitesnake for a long time – love the band, love the people. Then in October, Foreigner heads to Australian and New Zealand to do an orchestral show there, which is going to be very, very exciting. In the meantime, I’m trying to finish up two records. One is an album I have with George and Mick from Dokken and Robert Mason, the singer from Warrant. [The project] is currently being called Super Stroke. We’ve written 11 songs, and seven are completed. We’ve got four more left to put vocals on. That record will come out in early 2019. I’m also [producing] a second record with Last In Line, which is the original Dio guys with Andrew Freeman singing and Phil Soussan playing bass. I’m finishing up that as well this year [to be released in] early 2019. I’ve got a pretty full plate in front of me, and I’m just looking forward to everything coming out and hoping everybody loves what they hear. The internal ups and downs within Dokken have been well documented over the years. Putting that aside for a moment and just thinking about the creative aspect of the band, what was it about the classic four members that made it magical despite all the personal things that came up along the way?